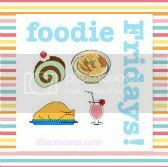 The DinoFamily love fish and our favourite is the super duper expensive cod fish, alternatively we will eat seabass, garoupa or red talipia. Our fish will always be steamed or baked instead of deep fried coz we feel that frying destroy the texture of the fish. DinoPapa's dialect is Teochew, but he seldom steam the fish the Teochew way which includes adding salted bean paste, pickles and sour plum. 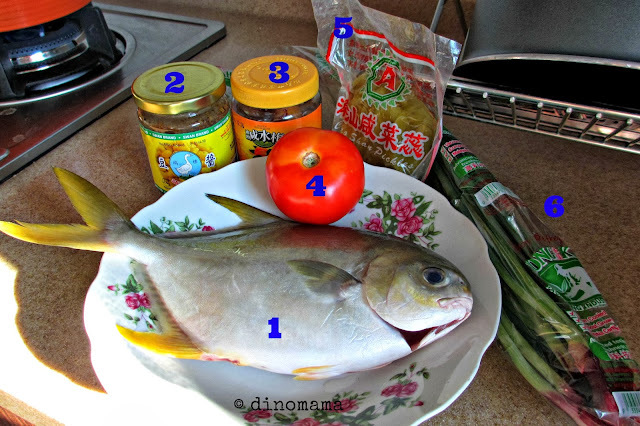 He will simply pour some steam fish sauce over the fish, cut 1 tomato and lay on top of the fish, that's all. It's still as tasty but it lacks the salty sour taste in it. So when I requested him to do this dish using Mama Sue's blog train as an excuse, he of course happily obliged. 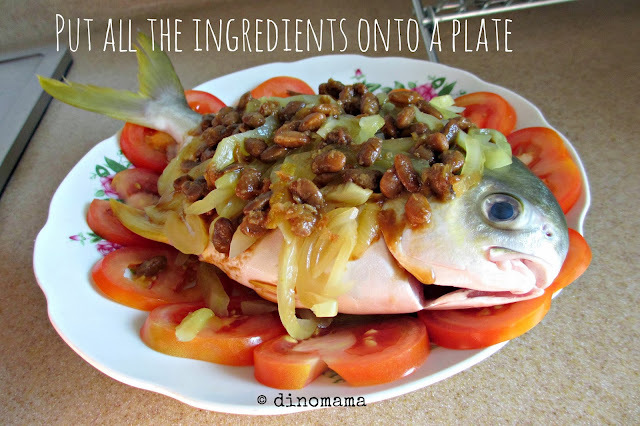 After you have washed the fish and cut up the tomato, simply just put them on a plate. Next, layer the salted bean paste and pickers on the fish, stuff the salted plum into the fish's stomach and steam it for about 15mins or till cooked. 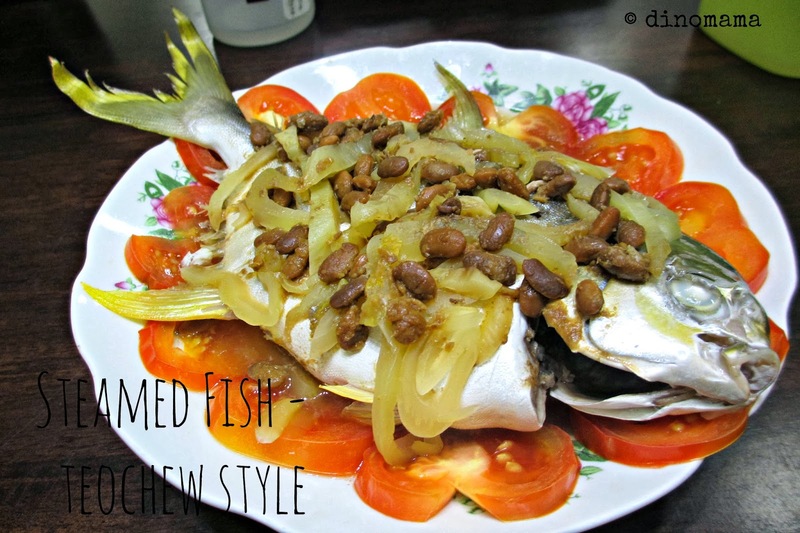 If you prefer your fish to be more salty then put more salted bean paste. I have to admit, I don't buy my fish whole like that...filleted, no head, no tail, no bones. I'm a salmon, trout, and tuna fan myself. Baked, seared, or grilled. Never fried. I love fish but wouldn't serve with head and tail on ... hypocritical really. I never thought about steaming fish--I grew up around fried fish and occasionally baked fish.